eNvsn Technologies offers a myriad of web development services that go beyond the traditional limits of website design, domain registration, website hosting services and search engine optimization (SEO) services. eNvsn, with its team of web designers/developers, is poised to help you reap the benefits of the Worldwide Web. 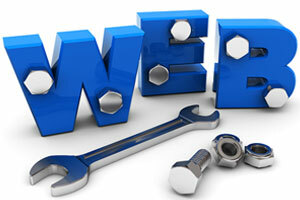 At eNvsn Technologies, we provide world class web solutions to businesses of all sizes. Our focus is to use our extensive knowledge of cutting edge technologies to provide solutions that will make your business succeed without costing you a fortune. Using the latest web development technologies, we build responsive and functional, yet aesthetically pleasing websites that will help place your brand right in front of your clients/target audience, thereby increasing your competitiveness and brand reach/coverage. We place great premium on usability, hence our solutions are carefully designed and engineered to offer the best user experience across all device types. If you are ready to increase your brand’s Internet presence, why don’t you give us a call and let us help Kickstart your company’s Internet Revolution.